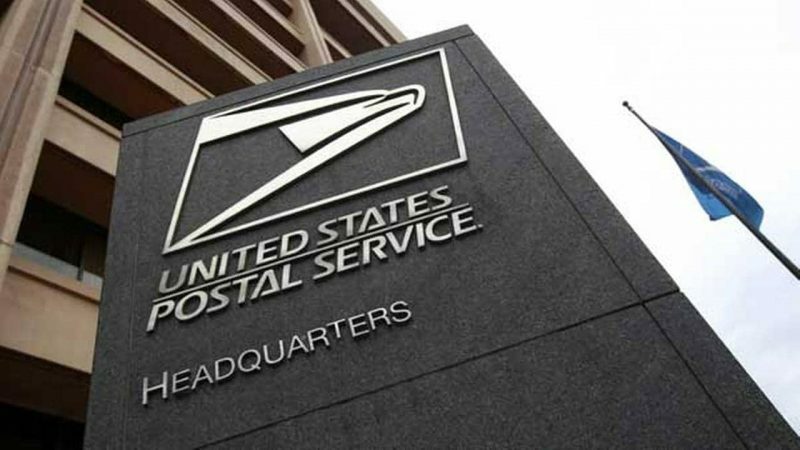 On June 28th, the Postal Service released the EAS pay package decision letter that was to cover through fiscal year 2019. Immediately upon receipt, Sean Acord and Tony Leonardi requested a meeting with Executive Postal Leadership in an effort to resolve some concerns. At 10:00 a.m. on the 29th, a meeting was held, the results of which, were believed to be very productive at the time. A follow-up meeting took place on Thursday the 5th of July at which time a verbal agreement was reached. An extension was also granted to the time line in which UPMA would have to file for “fact finding” under Title 39. Your UPMA Board held a teleconference that same evening to discuss the changes agreed upon. It was a unanimous vote to forgo “fact finding” providing that all changes discussed were actually implemented. The modified pay package was released on July 20th. The PFP Matrix for FY 18 will remain the same as FY 17.The PFP Matrix for FY 19 was modified from the original decision which would have changed to a 10-cell matrix with partial lump sum payouts back to a 15-cell system with a 1% lump sum payout in cell 3 (which currently sets at 0) with various reductions in cells 4 through 15. Corporate and Unit weights remained the same at 60/40. 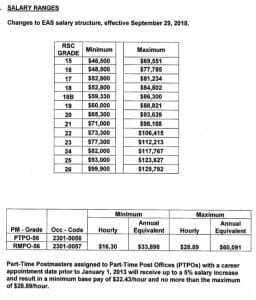 Salary Ranges were changed within the EAS salary structure (effective 9/29/18) to include minimum range increases of various amounts across the board. PTPO Postmasters will also have a salary range equal to the craft working the same level. Health Benefits Contribution will remain the same at 72/28. 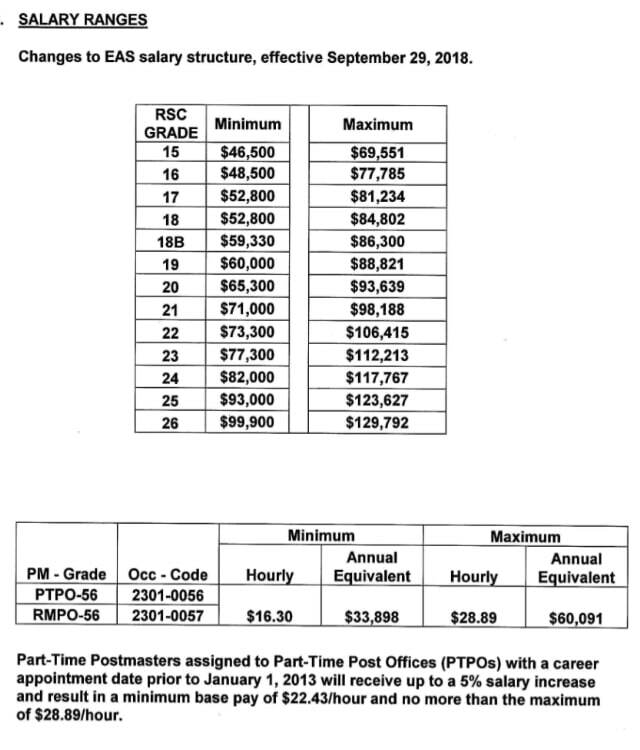 The first factor of the promotion pay calculation will see a change from 3 to 10 percent to 5 to 10 percent if greater than 20 percent from the top of the new grade as well as a change for those that fall between 10 to 20 percent from the top of the new grade going from 3 to 8 to 4 to 8 percent possible. The second factor remains unchanged. This is a new policy made by Postal HQ in an attempt to decrease the amount of EAS requesting downgrades only to apply for upgrades within months of the downgrade. Level 18B has been created with its own pay band. The criteria are that you earn between 2076 and 5500 WSC’s. Those that fall within this range will receive a 2% base pay increase. Item 8.A. will include UPMA in the exploration and resolution phase of future salary and grade changes. Item 8.B. will allow level 20 Postmasters with delivery and no supervisor to be classified as “special exempt” beginning September 1st of 2018. A joint study group will be formed and will be tasked with analyzing possible solutions to aiding this group of employees. The study is to be completed by January 18th of 2019. This entry was posted in General Union Business and tagged EAS pay package, pay for performance, PFP, United Postmasters and Managers of America, UPMA. Bookmark the permalink.